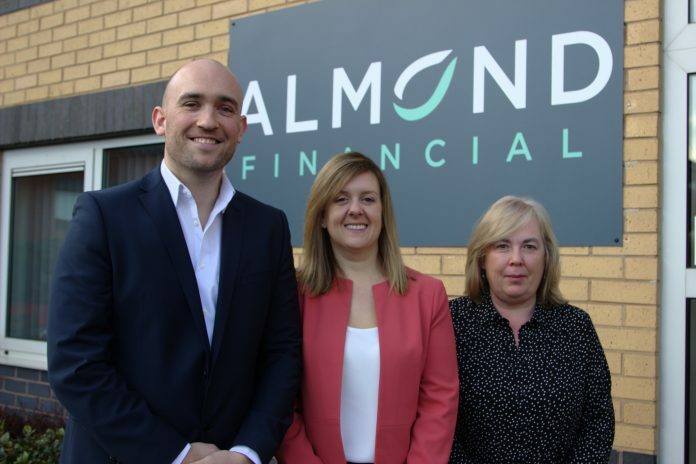 Lincoln-based financial advice specialists, Almond Financial Ltd has started 2019 with new premises and a high-profile appointment. Founded in 2018 by Director Samuel Robinson following six successful years in financial services, Almond Financial specialises in pensions, mortgages, protection and investments. The company has now moved from private premises to commercial offices at The Point, close to the city’s Teal Park development, to support the company’s fast growth and to prepare for the expansion of its team. In line with the company’s move, Almond has also welcomed Emma Ashby as a Mortgage and Protection Consultant, expanding the firm’s mortgage expertise. Emma brings more than 15 years of experience as a manager at Natwest in personal mortgages and financial advice across the region. Sam said: “We’re hugely excited to be welcoming Emma on board as a consultant. Her appointment means we have an excellent mortgage and advice offering that also allows us the capability to grow other bespoke financial specialisms. Sam added: “As well as welcoming Emma to the team, we are looking forward to welcoming our clients and connections to our new offices at The Point, on Weaver Road in South Hykeham. This will allow us to grow over the next three to five years and we expect to see our team expanding during that time too. Our focus continues to be on customer service first and foremost, which helps us to achieve closer working relationships with all of our clients.